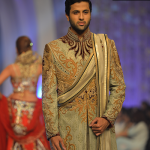 Anjalee And Arjun Collection at Pantene Bridal Couture Week Day 2. 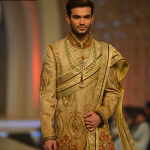 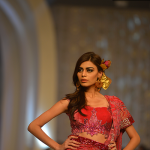 Pantene Bridal Couture Week 2013 Karachi event saw a change in thedécor and sets. 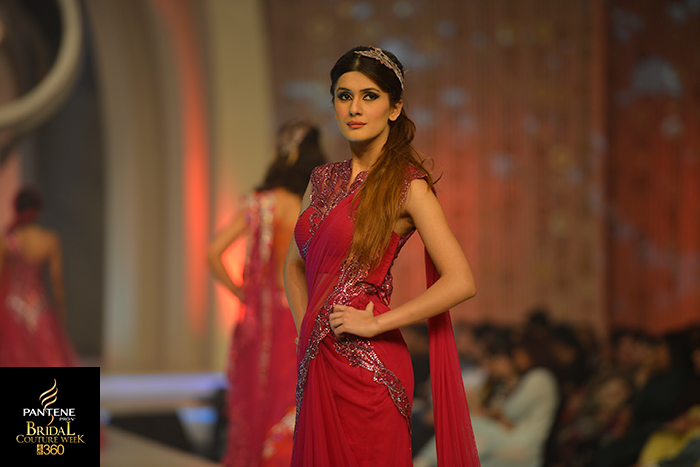 The ramp had images that added colour to the stark whiteness of the background. 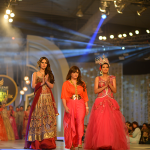 The evening segment of PBCW opened with Lajwanti’s male and female collection, boasting brilliant combinations and tasteful designs. 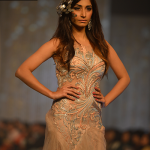 She was followed by Madiha Noman who caught the audience’s attention with her theatrical opening. 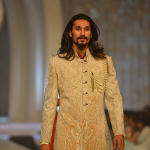 Anjali & Arjun’s menswear collection was unique, original, so Indian and with a vibrant culture touch and to have that introduced in Pakistan could really be an idea.Indian designers Anjalee and Arjun Kapoor closed the night on a dramatic note with extremely bling and ornategowns and saris.